You must update your Google Chrome immediately to the latest version of the web browsing application. Security researcher Clement Lecigne of Google's Threat Analysis Group discovered and reported a high severity vulnerability in Chrome late last month that could allow remote attackers to execute arbitrary code and take full control of the computers. The vulnerability, assigned as CVE-2019-5786, affects the web browsing software for all major operating systems including Microsoft Windows, Apple macOS, and Linux. 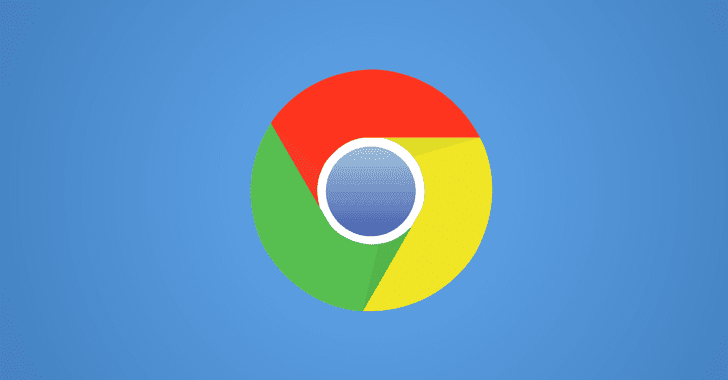 Without revealing technical details of the vulnerability, the Chrome security team only says the issue is a use-after-free vulnerability in the FileReader component of the Chrome browser, which leads to remote code execution attacks. What's more worrisome? Google warned that this zero-day RCE vulnerability is actively being exploited in the wild by attackers to target Chrome users. "Access to bug details and links may be kept restricted until a majority of users are updated with a fix," the Chrome security team notes. "We will also retain restrictions if the bug exists in a third party library that other projects similarly depend on, but haven’t yet fixed." FileReader is a standard API that has been designed to allow web applications to asynchronously read the contents of files (or raw data buffers) stored on a user's computer, using 'File' or 'Blob' objects to specify the file or data to read. The use-after-free vulnerability is a class of memory corruption bug that allows corruption or modification of data in memory, enabling an unprivileged user to escalate privileges on an affected system or software. The use-after-free vulnerability in the FileReader component could enable unprivileged attackers to gain privileges on the Chrome web browser, allowing them to escape sandbox protections and run arbitrary code on the targeted system. It appears to exploit this vulnerability, all an attacker needs to do is tricking victims into just opening, or redirecting them to, a specially-crafted webpage without requiring any further interaction. 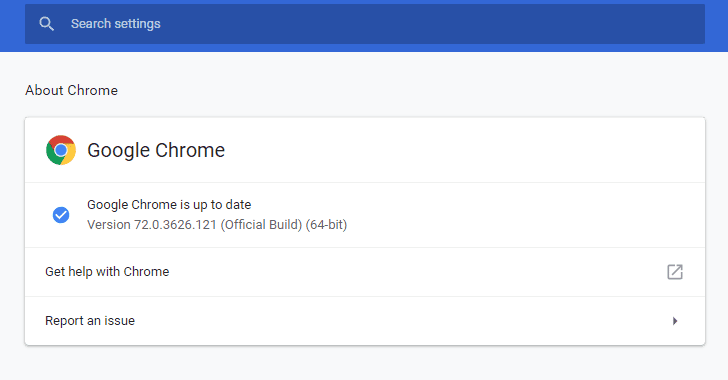 The patch for the security vulnerability has already been rolled out to its users in a stable Chrome update 72.0.3626.121 for Windows, Mac, and Linux operating systems, which users may have already receive or will soon receive in coming days. So, make sure your system is running the updated version of the Chrome web browser. We will update the article, as soon as Google releases technical details of this vulnerability.